Lead magnets are one of the fastest ways to attract an audience and build your tribe. Few weeks ago, we published an article on How to craft the perfect lead magnet and listed some examples of lead magnets that are employed by many coaches, business strategists, and online marketers. In this post, we will delve into different types of lead magnets to uncover what makes them ideal––the pros, and discuss the drawbacks of each one of them. If you are REALLY serious about online marketing and blogging, you probably know about sales funnels. But your lead magnets are leading––and should lead your ideal customers into neat sales funnel. Otherwise, you are wasting your fine marketing and genius lead magnets. Without further ado, let’s discuss the 10 types of lead magnets that are guaranteed to grow your email list and how well they perform. Why ebooks? People are used to reading books. How to books have been around for a while, and a book that promised to solve problems will get the attention of your target audience. Advantages: Ebooks are relatively easy to create. They range from 12 – 100+ pages and come in all forms of sizes, formatting, and purpose. You, right now, can turn a top-performing blog post into an ebook to give away to your audience as a bonus for joining your community. That is how easy it is to create this lead magnet. Derek Halpern comes to mind when it comes to ebooks as lead magnets. He has the numbers to prove the claim he is making in this pop up––why would anyone object to getting an ebook on how to get 5000 subscribers? Regina of ByRegina gives away an 80-page ebook on how to help your brand stand out. Now, you’re thinking “woah, that’s actually a lot!” But each step is very specific and actionable so it doesn’t read like fiction. Disadvantages: Unless you can prove that your content is indeed valuable, don’t waste your time with an E-book. The reality is that people don’t have time to consume ebooks so there is the likelihood is if they download it they don’t read it. I also don’t recommend free chapters. Like we mentioned in a previous post, the challenge with giving away a chapter of your book for free is that there is a perception of this “thing” being incomplete. This would be different if this book were a bestseller––you already have a brand value that people trust, and it means they’re willing to evaluate you based on the raves that you’ve received prior to them meeting you. Checklists take the guess work out of complicated processes or projects by breaking down complex concepts into actionable steps, guiding you every step of the way. For procrastinators, this is your time management buddy. Some checklists come with timelines so you can measure performance and get a sense of accomplishment, which motivates you to stay on track to finish the course. Advantages: They are easy to create. To make effective checklists, you need to get inside the head of your customers to know what their struggles are and why they find them daunting. Only then can you create effective checklists that speak to practical problems. Disadvantages: You can get caught up with too much detail that it creates more confusion. If the goal of providing checklists is to simplify complex ideas, throwing in the kitchen and the sink will take people further from that goal. The gospel of webinars and online workshops have been preached to every coach, speaker, and trainer. Webinars do one things that other lead magnets don’t do quite as well: position you as an expert and grow your community at an incredibly fast rate. Your expertise, coupled with your webinar topic and the solutions you promise to solve for your audience, make a perfect recipe for a client generating lead magnet. Our in-house CEO, DJ Sobanjo has created a lead magnet on how to design a winning webinar which has helped lots of new and established coaches get started in their list-building efforts. Advantages: The reach is incredible. You can leverage the internet to spread your message far and wide, make sales, add more people to your list, and interact with your audience at the same time. Disadvantages: It is daunting for most people, and unless your webinar hits a nerve––you have a crystal clear picture of what your clients’ pain points are, there is a tendency for your expertise to drown in a sea of content. Make your mini-classes/workshops/webinars short and to the point. Don’t ramble and hold back your knowledge––this is your first interaction with them and you need to make a strong positive impression. At one point, 3-part video series were the rage. A potential client lands on your website decides you can help him or her, and searches for your lead magnet. With the 3-part video series, the potential client gets the videos delivered to her over 3 or more days. In three videos, you share the your journey to finding the solution, the transformation that is possible to the client with the proposed solution, and the experience of owning that solution…with ‘calls to actions’ in each video. An offer is usually made in the third video. Jeff Walker, the author of the bestselling book, Launch, popularized this approach. Other coaches and business strategists have since gone on to use this proven system of generating new leads. 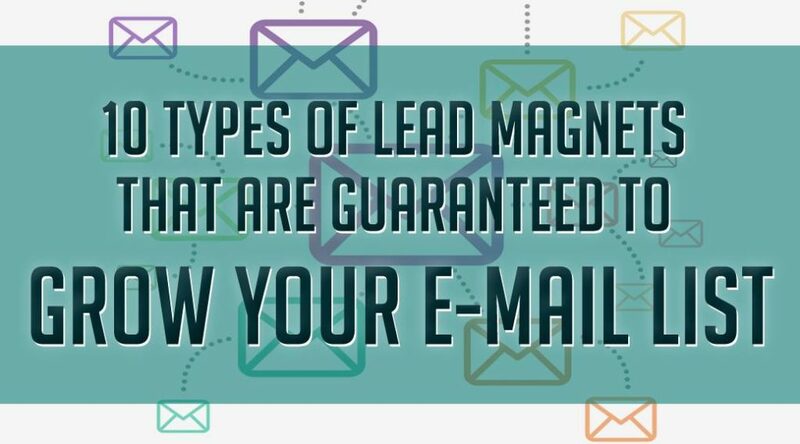 Advantages: Unlike other lead magnets where the solution is delivered once, you are priming your potential clients to expect you in their inbox over the next 3 or more days. This way of introduction builds likeability and authority faster than sending a just checklist and going silent for days. Disadvantages: Don’t hide your knowledge; most people do not have the patience to wait for more than three days to get a solution to their problems. This is the sales funnel 101, and 3-part videos usually lead to a product or service. If you are not skilled, you can mess this up. You need strategy to be able to build a sense of urgency in order to make people take an action. An alternative to 3-part videos and webinars, audio recordings have a special appeal. They are easy to make, easy to download as an mp3 file, and easy to share with other devices. We have an audio lead magnet called Client Generating Strategy on the right (check the sidebar!). With audio lead magnets, clients don’t need any special software downloaded before they can experience your brilliance. Disadvantages: Most audios are usually filled with rambles which bore people and give an impression of mediocrity. Be specific, address a pain point, and give straightforward answers. If you have lots of content on specific topics and find people asking you about these topics––repeatedly, it might be time to create a toolkit or Library. Your toolkit of library might be a place where you put all your best work related to job searches, personal finance, or investment. If the thought of giving away tons of your content for free scares you, don’t fret. There are successful online entrepreneurs who currently doing this and benefitting from the strategy. Ramit Sehti from I Will Teach You to be Rich is widely popular for giving away 98% of his best content for free and saving his 2% for premium offerings. Graduates from his courses continue to rave about the value in his programs and this alone strengthens his brand. Melyssa Griffin of The Nectar Collective also maintains a library of resources for bloggers and entrepreneurs. Disadvantages: Ultimate kits and libraries grow your list if they contain solutions that your ideal clients are seeking. You must also have an engaged community that is willing to share and offer feedback on how helpful your library is to them. Otherwise, you would have a library of helpful resources that doesn’t speak to their pains. Clients are curious about where they fall on a spectrum and how much work is needed for them to get from point A to B. This is where quizzes and assessments come in; once your ideal clients opt into your email list, the results help reveal specific traits about clients and recommend specific solutions to them. Disadvantages: Workbooks, quizzes, and assessments work like a coaching process. Without the ability to guide clients through the discovery process, your leads will be left dissatisfied because they will find your quizzes and workbooks useless. Software downloads can be lead magnets. They can be plugins, themes, landing page templates, etc. But because they are of premium value, half of their features are sometimes offered to potential clients with the option to upgrade after a period of time in order to enjoy the full benefits. LeadPages comes to mind with their free landing page downloads and social media trainings. Disadvantages: They are expensive to create because of financial and human resources. You have to keep updating them in order to remain relevant and competitive in the marketing world. Otherwise, your software has the idea of running obsolete. Email courses are the rage these days, and one of the reasons why they’re popular is the premium promise that is attached to the promise. When content creators say “I could charge for this but I’m giving it away for FREE,” the value of the lead magnet skyrockets. Maria Coz has a free email course is a resource for bloggers who want to go professional and start making money through passive income. She placed the focus on her list-building email course by removing all clutter from her blog in form of sidebars ads, sidebar content, and minimal design, and generates leads through just that: email courses. Advantages: FREE email courses give you an excuse to show up in the inbox of your new readers. If you have a really good funnel and email sequence set in place, you can create a healthy level of expectation among your readers and affirm your credibility and status in their minds…and inbox. Disadvantage: Content shock. There is just way too much content out there to consume than your mind can handle. With the average person receiving more than 80 emails in a day, the likelihood that your expertly crafted email courses will go unopened after the 3rd day goes up. Content upgrades are what they are: you publish a really valuable content then you expand on the topics by including a freebie your readers can download. If you have existing articles, you take your best performing posts, revamp them, then add a “next step” to furthering the solution as a content upgrade. Amy Porterfield’s, a social media strategist, includes a content upgrade with EVERY post. She hosts a podcast called Online Marketing Made Easy and each time she hosts a guest on her show, a freebie always follow the show notes. In fact, her freebies have become something to look forward to every week. Advantages: Content upgrades are extremely popular and that is because of the appeal to readers who aren’t subscribers of your blog yet. Most people would skip your sidebar and head straight to your content. If it is valuable enough and promises to walk them through a problem in the downloadable freebie, they will opt into your list. Disadvantages: If your blog doesn’t get enough eyeballs needed to make your epic blog post go viral, your epic content upgrade will remain hidden. You need to drive enough traffic to your blog if you want many people to benefit from it. So, what is the best way to grow your community? You’re right, there is no “best” way. You have to be willing and open to try out a combination of these strategies to know what works for you and your business. Whether you give away an ebook, an audio recording, or a 3-part video series, it takes a combination a things to grow a community of engaged members and upgrade them to paid customers. But you need to start somewhere, and like DJ says, “If I waited till I could create fancy videos I’d still be broke. Your work doesn’t have to be perfect; it just has to be brilliant. What lead magnet are you going to optimize today?